Sirin Labs, the company behind blockchain smartphone ‘FINNEY,’ has announced a mutual integration with Ethereum wallet interface MyEtherWallet (MEW), Finance Magnates reported. With this partnership, MEW’s service will be deployed in the FINNEY’s in-built cold wallet. MEW users will be able to purchase FINNEY through the mobile and web platforms. On the other hand, FINNEY users will be able to more easily access their Ethers and control their private keys. “SIRIN LABS has integrated the MEWconnect functionality into FINNEY, the ultra-secure blockchain smartphone,” Sirin Labs said. It added that the integration will enable total safety and security with user verification of all cryptocurrency transactions through FINNEY’s proprietary Safe Screen. 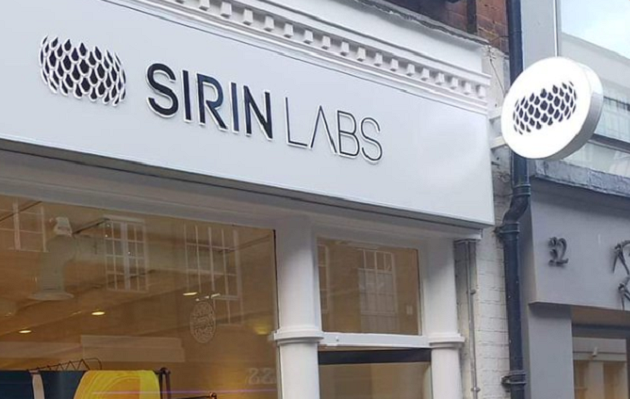 “We see this integration as a strong step towards a greater market share for both companies, as the two products complement each other,” says CEO of SIRIN LABS, Zvika Landau. Last month, Sirin Labs announced its partnership with payment processing company Simplex allowing FINNEY users to make crypto purchases using fiat currencies directly from their smartphones through the cold storage wallet. In a recent update, Sirin Labs said that its FINNEY wallet update went live last week, bringing compatibility for all Ethereum ERC-20 tokens. The update also included support for both the Dash and Litecoin blockchains.